Ardilaun, or Glenarde House as it was then known, was built around 1840 as a townhouse for the Persse Family, who had large estates in South Galway. Many of the Persse family members hold a place in local history including Burton, founder of the Galway Blazers and Augusta who became Lady Gregory, Co-Founder of the Abbey Theatre. In 1922 the residence at Glenarde was sold to Mr. Patrick Boland – the Boland biscuit making family. The Bolands lived at Glenarde until 1961 when the property, with five acres, was acquired by Mr. & Mrs. Patrick D. Ryan and its conversion into one of the best 4 star hotels in Salthill, Galway, commenced. When Ardilaun House opened as an hotel on St Patrick’s Day in 1962 the mansion had been entirely redecorated to include all the modern amenities while at the same time care had been taken to preserve as much of the original character of the old mansion as possible. There were eighteen bedrooms - each bedroom with its own distinctive theme and considered modern at the time. It was a sign of how quickly standards were changing that within fifteen years all of the original bedrooms had been phased out having already become inadequate and unacceptable. There have been many developments at the Ardilaun since those early days. In 1962 the first wing with fourteen guest bedrooms and six staff rooms was built. In 1969 a further thirty four bedrooms with an addition to kitchen and staff facilities were added and in 1975 the bar was extended and the reception area improved. By 1977 the need for further expansion was evident and in two developments an additional forty bedrooms were added - all with bathrooms ensuite. A new dining room was also constructed with doors leading onto a patio where dining could be enjoyed outdoors during the summer time. The lands and woods surrounding the hotel were landscaped and have since provided pleasant walks for hotel guests. 1999 saw major investment and upgrading of the hotel and its facilities. A superb new Leisure Club was added comprising of an 18 metre deck level swimming pool, jacuzzi, sauna, steam room, gymnasium and an aerobics studio. Included in this redevelopment also was the addition of the Health and Beauty Salon and renovations took place in the public and conference areas with the addition of a new meeting room and a boardroom. The hotel was relaunched as The Ardilaun House Hotel, Conference Centre and Leisure Club. The Ardilaun now had 89 bedrooms to include a number of suites. The hotel is rated four star and owners, management and staff are very proud to provide this level of service in the dining-room, accommodation and public areas. In 2005 a further redevelopment commenced which reached completion in 2006. This exciting programme saw 36 luxury new rooms, 2 tiers of underground parking, conversion for 4 existing bedrooms to Garden Suites, extensions to the Restaurant, Bar, foyer and Connacht Suite ballroom and grounds were fully landscaped. The Ardilaun House Hotel was rebranded in 2007 to become known as The Ardilaun Hotel – the name which many locals had already been referring to it as. This rebrand was done in line with the hotels 45th Anniversary celebration. 2008 saw further redevelopment when Blazers Bar was extended to become Blazers Bar & Bistro. At this time there was also renovation to the restrooms and staff areas. A further 14 rooms on 2 floors were redeveloped and are now 12 deluxe rooms – each with its own individual character. 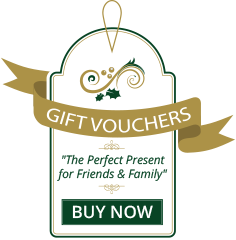 In addition to the many Irish guests who are regular visitors to the hotel, it is also a most popular choice to those travelling from USA, UK and Europe. Guests are always very impressed with the hotels unique seclusion while, at the same time, its convenience to the city centre. 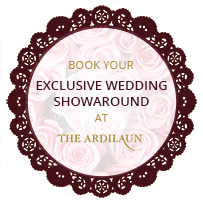 The Ardilaun Hotel is ideally suited for any event or occasion, for business or pleasure, be it the smaller more intimate family event of the larger conference. A major advantage of the hotel is its ample complimentary and convenient car parking. To ensure continued excellence in business, the hotel invested in the Optimus Programme. The Ardilaun Hotel was the first hotel in the West of Ireland to achieve this mark of recognition and each year since investing in the programme in 2005 has been awarded the Optimus Mark of Best Practice. Other awards achieved include ‘Irelands Top Wedding Venue of the Year in Connacht’ in 2011 and AA Irelands ‘Courtesy & Care Award for 2011-2012’.The accolades received make our team strive to continue to be one of the top 4 star hotels in Galway city. Since 1962 the hotel has been owned and managed by the Ryan family. John Ryan is the Managing Director of the hotel and, together with the proud Ardilaun team of over 120 staff, provides a very high standard of quality and service in a most friendly and efficient manner to all those who visit this well loved hotel.